How to choose an operating system for your computer and how to run it there. It was twenty years ago today, Sergeant Pepper taught the band to play. Nevermind. That's a different story. A long time ago in a galaxy far, far away ... No, that's not right, either. They say the third time's a charm. Here we go. In 2000, I began my Linux journey with baby steps. I was already a bit familiar with UNIX from using limited shell accounts at work. I tried Slackware, Debian, Red Hat and quite a few lesser distros. None seemed to really fit until I tried SuSe 9.1. It was very comfortable, but the SuSe team changed direction with 9.3. Although I was using Linux, it was still playing second fiddle to my WindowsXP and AmigaOS 3.1 computers. I discovered PCLinuxOS 0.91 in late 2005. It was a new project started by a packager for Mandrake. It seemed similar to SuSe, but somehow better. When PCLinuxOS 0.92 came out, I reinstalled from scratch, even though it was not necessary. I simply wanted to start fresh, minus the cruft I had accumulated. I was still dual booting with WindowsXP, and was still on dialup internet. It was at this point that I began having problems with Windows viruses. No amount of diligence with my virus checker, firewall and spyware guard software seemed to be enough to combat the problem. The cat and mouse game of zero day exploits eventually became more than I was willing to tolerate. I decided that I would run Linux full time at home, and never use Windows again. I still use nothing but PCLinuxOS on all my home computers. There are several reasons why I stay with it. DarkDuck is a person with whole life spent in IT area. It does not mean only Linux, but also SAP systems. Learn more about him here. 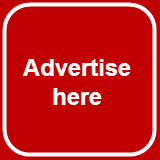 You can also subscribe to this blog via e-mail or RSS, links are on the right. This is absolutely FREE! 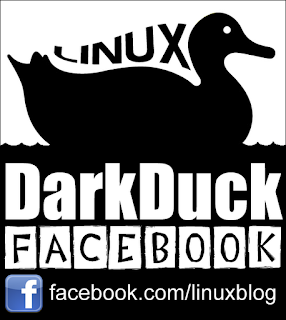 February 2012 brought us some fresh releases of Linux-based operating systems. These systems are not as big and famous as Ubuntu, Fedora or OpenSuSE, but still have a considerable army of fans. I have already written about the PCLinuxOS 2012.02 release. Today I will tell you about another, Sabayon 8.0. It is not my first, or even my second trip to the Sabayon camp. The first time I tried Sabayon 5.5 XFCE. The second trip was to Sabayon 6.0 KDE. The results of these trips were different. Version 5.5 XFCE was very disappointing, mostly because it was still in the experimental stage. Sabayon 6.0 KDE was very exciting. I felt it was a very polished distribution. How times have changed. As you can see, I skipped my review of Sabayon 7, being busy with other system reviews. The 7th version of Sabayon was released in October 2011. This meant that the developers released a new version of their Linux distribution every three months! Quite timely, I would say! Let’s see how Sabayon 8.0 measures up. The ISO size of Sabayon 8.0 KDE distribution is about 2.2 Gb in size. It is about 10% larger than version 7 (2 Gb), and 70% larger than version 6 (1.3 Gb)! Wow! That’s an amazing increase in size! You can download the ISO from a torrent or mirror which are located in different parts of the world, from Japan to Argentina. Once the ISO file was downloaded, I used Unetbootin to “burn” the image of Sabayon 8.0 to my 8 Gb USB stick. So, preparations are over. USB stick is in the port of my Fujitsu-Siemens Amilo Pi 1505 laptop. Reboot. Choose to boot from USB. Let’s go! Человек, который родился в России, но живет в Бразилии. Человек, который работал в Microsoft и Mandriva, но всегда использовал Linux на своем компьютере. Человек, который занимался исследованием возможности построения компьютерной системы а-ля Skynet. Перед тем, как мы начнем, небольшое объявление. Это интервью по совместной нашей с Евгением договоренности публикуется на двух языках: русском и английском. Анлийская версия (English version). DarkDuck: Привет, Евгений! Спасибо за то, что пришел в гости. Я знаю, что ты достаточно извествен в мире Linux, и твое имя само за себя говорит. Тем не менее, как бы ты представил себя сам? Евгений Додонов: Меня зовут Евгений Додонов. Мне 30 лет. Я родился в России, в Москве, но живу в Бразилии с 1996 года. Будучи в Бразилии, я получил дипломы бакалавра и магистра в университете UFSCar, работая над темой распределенных параллельных файловых систем. Также я защитил кандидатскую диссертацию в университете USP, предлагающую подход к предсказанию, позволяющий компьютерным системам работать автономно, без вмешательства человека. Это было действительно интересное исследование, и один из самых любопытных вопросов, которые я получил на эту тему, был о мерах безопасности, потому что в целом подход к автономности, который мы исследовали, одному из оппонентов диссертации напомнил Skynet :). The man who was born in Russia and lives in Brasil. The man who worked for Microsoft and Mandriva, but always used Linux on his computer. The man who researched the ability to build the Skynet-ish computer systems. Just before we start, I'd like to make a little announcement. Since Eugeni and I are both Russians, we decided to publish this interview in English and Russian languages both. The Russian version can be found here. DarkDuck: Hello Eugeni. Thanks for coming to my blog. I know you are a very famous person in the Linux world, and your name tells who you are. But anyway, how would you introduce yourself? Eugeni Dodonov: My name is Eugeni (which is sometimes written as Evgueni or Eugene and with all the possible variations of it) Dodonov. 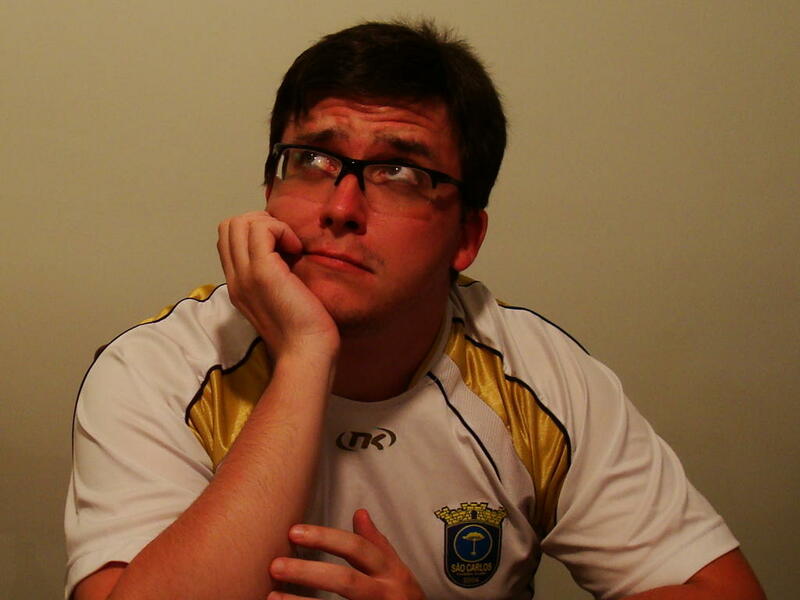 I am 30 years old right now, and I was born in Moscow, Russia, but I live in Brazil since 1996. While in Brazil, I did my bachelor and master degrees at the UFSCar University, working with distributed parallel file systems; and my PhD in the USP University, proposing a prediction approach to allow computing systems behave autonomously, without any human supervision. It was really interesting research, and one of the most curious questions I got about about it was if I had thought about safety measures, because the overall autonomic approach we did looked similar to Skynet to some of the PhD thesis readers :). Do you want a career in Linux world? Many people still think that Linux is only an operating system, which you can use on your desktop or laptop computer. This is simply not true. The fact is that GNU/Linux distributions like Debian, RedHat, Ubuntu, Fedora, OpenSuSE and others are only part of the Linux world. Big part, but still only a part. Another fact, Linux is only a kernel which runs in the heart of the operating system. And this kernel can run on multitude of different platforms. This includes the devices, which we don’t consider to be computers at all. Example? Let’s start with most widely known. Look at any Android smartphone or tablet. Yes, Linux kernel runs inside of it. But Google’s Android operating system is not the only place. Amazon Kindle? Are you surprised, but Linux runs in it too. Even less obvious place is… TomTom! If you don’t know what TomTom is, I need to tell you. This is a small device, which has one main feature: to navigate you through almost any place in the world. It has built-in GPS module, screen, maps and little computing module to calculate your route from point A (for example, your location) to point B. Once route is calculated, it will guide you through. In the mean time, it will show you points of interest, play you an audiobook or do lots of other related stuff. As you may already have guessed, TomTom devices use Linux. And, of course, where Linux kernel is used by device, the manufacturing company requires lots of people with knowledge of Linux to work on development, testing and servicing of devices. TomTom is not an exception. That’s why the company created a specially dedicated site Tom TomJobs where they hire people for different sorts of roles. In particular, there is a plenty of roles for Linux/Unix/Java developers, testers and so on. Lots of recent studies, and here is just one example, show that demand on Linux/Unix-related roles is growing. That's why the role of the sites offering the roles will only increase. Generally speaking, TomTom is a Dutch company with headquarters in Amsterdam. But they now have global presence. Because of that, TomTom has offices all around the Globe, from Australia to USA, from Russia to South Africa, making it 30 countries worldwide. It means that you’re likely to find the role you want in a location close to you. Interested? Then what are you waiting for? Follow the link, and this may be a kick-start to next round of your career development! There are not so many distributions in the Linux galaxy which have names directly showing the purpose of the distribution's creation. I honestly do not think that Bodhi is going to enlighten anybody or Fedora can stay on your head. 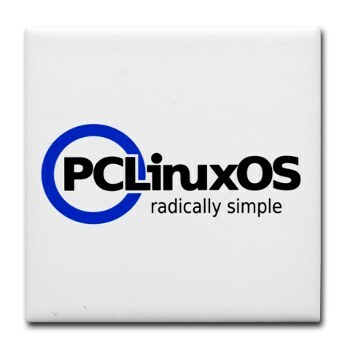 As opposed to these, PCLinuxOS directly says that it is a Linux operating system intended to be used on PCs. What is PCLinuxOS, commonly referred to as PCLOS, anyways? PCLOS forked from Mandriva a long time ago. The developers of this distribution, with Texstar as a lead, had a different set of applications for Mandriva (that time Mandrake). Some Mandrake users began clamoring for Texstar's custom packages because they were so good. This didn't sit well with some of the Mandrake officials, and people urged Texstar to start his own distro. He did. Over the years, system components and packages have been adapted and customized specifically for use with PCLinuxOS, even some core ones. Some packages have been created by PCLinuxOS developers, and some have been ported from other distros. There are some from RedHat, Fedora, SuSE, Puppy and, yes, even from Ubuntu. The latest version of PCLOS saw release on the 2nd of February 2012. It has two options: KDE and KDE MiniME. The latter one is only intended for advanced users. I went for the usual KDE version. The ISO size of this distribution is very decent for a KDE-based Linux operating system. It is only about 619 MB. Unfortunately, PCLOS does not have a torrent downloading option, so the only downloading option is to get is from the mirror. When the image file was downloaded, the Unetbootin tool created the Live USB for me. This was not the first time when I tried to look at PCLOS. The previous review has been written at the end of December 2010, but that was the LXDE version of the system. This time I decided to change my usual test environment slightly, and do it on the Toshiba L500-19X laptop. This could increase the complexity of testing, because this laptop has the WiFi card which was not recognised by many distributions so far. Let's see how PCLOS deals with it. So... My USB stick is in the port. Reboot. Choose to boot from USB. Let's go! Chances are you have an older computer sitting in a closet somewhere just gathering dust. Why not breathe new life into it by replacing its old, clunky Windows installation with a fast and shiny new Linux installation? Linux has come a long way since the early days of typing cryptic strings of characters onto a "command line". Most modern versions of Linux now look and feel much like Windows, but without the code bloat and sluggish performance. And if you primarily use your computer to browse the Internet, check emails and such, except for a dramatic speed increase you'll be hard pressed to tell much difference in how the machine actually works. What's more, if you use it for other tasks as well you're sure to find a free software package to download and install that will do the job just fine. I run Open Office on my Linux notebook and I don't miss the bloat and sluggishness of Microsoft Office one bit! 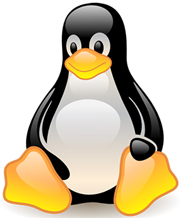 The power of Linux lies in the super efficient way that the Linux kernel utilizes hardware. I have installed various versions of Linux on a number of older Windows desktop and notebook PCs and I have never been disappointed with the results. A great example is an HP desktop with a Pentium 4 processor and 1GB of RAM that runs rings around a much newer Gateway running Windows Vista! There are several Linux distributions available, but the two that I use most are Ubuntu and Puppy. Ubuntu works extremely well on most computers, but Puppy Linux is outstanding for systems with slower processors and limited RAM. My suggestion is to try Ubuntu first, then switch to Puppy if you need even more speed. You can download the latest version of Ubuntu Linux here, then burn it onto a CD-R. If you have access to a PC running Windows 7 you can simply right-click on the downloaded file and click "Burn Disc Image". When the process completes you'll have a bootable Ubuntu Linux installation CD. You can download the latest version of Puppy Linux by clicking the "Download Latest Release" link on the Puppy Linux homepage. Then use the same procedure described above to create a bootable Puppy installation CD. Regardless of which version of Linux you decide to install, the process is pretty much the same. Simply configure your PC's BIOS settings so that it will boot from the optical disc drive, insert the CD, then turn on the power! The computer will boot right up into Linux and you'll be able to install it onto the hard drive. You can even run Linux right from the CD for a while to see if you like it before actually installing it! Just bear in mind that it will run even faster once installed. The installation process for both Ubuntu and Puppy is fast and easy, with just a few simple questions to answer for a typical installation. The Linux plug-n-play process works very well for detecting hardware devices and installing the appropriate drivers. It works so well in fact that I have never had even one hardware issue when installing either of these versions of Linux onto a machine. Your mileage might vary of course, but if you do have problems help is readily available in the support forums on the Ubuntu and Puppy websites. There you have it. Don't let that old PC sit on a shelf gathering dust! Fire it up and replace Windows with Linux so you can experience computing the way it ought to be! Rick Rouse is an A+ certified PC technician and the owner of RLROUSE Infoblog. There are a lot of Linux distributions based on Debian. The most famous of them are Ubuntu, some flavours of Linux Mint and Aptosid. There are many more less known, for example, Kademar. Another Debian derivative which I have already written about is DreamLinux. I cannot say that my previous attempt to run DreamLinux was successful. It was the version 3.5, and there were issues with font size which prevented me from running any tests at all. Since then, DreamLinux team released another version of their distribution, version 5.0. As you can see, they skipped version 4. To be precise, they abandoned version 4 after several beta-releases, because of their own visage of the product. Anyway, the new version 5.0 is now based on Debian Testing branch and is fully compatible with it, the developers have announced. DreamLinux 5.0 is only available to download as an ISO file with XFCE desktop environment. This is a small step backwards, because version 3.5 had a GNOME version, too. Maybe it's not that bad, because GNOME2 is no longer in active development, and GNOME3 is too far from perfection and total acceptance by all users yet. The ISO file for DreamLinux 5.0 can be downloaded either from one of two mirrors, or via torrent. It is about 965 Mb in size, much larger than version 3.5. I downloaded the ISO file from torrent and "burnt" it onto my 8Gb USB stick using the Unetbootin utility. So, the preparations are over. USB stick in is the port of my Fujitsu-Siemens Amilo Pi 1505 laptop. Reboot. Choose to boot from USB. Let's go! About a year ago I published a blog post and then a video showing you how to insert page numbers into an OpenOffice.org document. The video became very popular, and I got some additional questions about the functionality. The question I got recently persuaded me to write this post. So, what is the question? Say you write a novel. This is a lengthy document which has a title page, table of contents and some chapters. You want to make page numbering start from a certain page and not include first pages like front page and table of contents. How to achieve this? The ability to run an operating system in Live mode is a great invention in the computer world. This way you can achieve multiple aims. I have written about some of them already. Many Linux distributions these days have Live versions of their operating system, and many have Live as the only available option. Unfortunately, Live systems are not so spread in the BSD world. There are not very many BSD-based operating systems which have ability to run in Live mode. That’s why each of them is of particular interest for me. Today I will look at the system which was created by a single author, nicknamed Jggimi. This Live system is based on OpenBSD 5.0. The official page of the project is http://jggimi.homeip.net/, and this site does not have many pages, although there’s enough information for you to download the system and get answers to frequently asked questions. Honestly, these FAQs helped me to better understand the system’s approach, so I recommend you to read them too. Jggimi’s version of OpenBSD Live (I’ll call it OpenBSD Live in this blog post, just for convenience) can be downloaded in several variants, from simple command line only to a full-blown GNOME edition. All the versions have ISO files packed into an archive to reduce the size for downloading. The latest version was released in September 2011. I downloaded the GNOME version from the only server where you can get this distribution: msu.edu. The unpacked image size of this version is about 2.9 Gb. First, I tried to create Live USB using the image. Neither the dd command nor Unetbootin were able to help me here. No surprise actually, because Live USB is not mentioned in the Project’s FAQ. Finally, I burnt the ISO image onto the DVD-RW. So, the DVD-RW is in the optical drive of my Fujitsu-Siemens Amilo Pi 1505 laptop. Reboot. Choose to boot from DVD. Let’s go! Hurray, another mark in the development of this blog! Today I saw the number of my blog readers to exceed the 300! There are 301 subscribers to this blog, as per FeedBurner's statistics. You can see the real-time counter at the bottom of the page. So, why not use this day to join the list of subscribers? You can use RSS or e-mail subscription, whatever is more convenient for you. Debian LXDE Live – is it still Debian? Last week I wrote about Fedora 16 LXDE. That post was intended to complete the cycle of reviews of different Fedora 16 spins. Apart from Fedora, I had posted another “almost full” cycle, which missed only one element. Coincidentally, that missing element is also an LXDE system. Today I will tell you about Debian LXDE Live, thus completing the Debian cycle. If you want to read about other versions of Debian Squeeze, please follow the links to reviews of GNOME, XFCE and KDE versions. Debian LXDE Live, like any other part of Debian Live project, is distributed in two options: for CD/DVD and for USB drives. I downloaded the latter one, because the BIOS on my laptop Fujitsu-Siemens Amilo Pi 1505 does not always like CD ISOs on USB. There are no torrent options, so I used one of the Debian mirrors for downloading. The image size of Debian LXDE Live is 776 Mb, which is the smallest of all the parts of the Debian Live family. When downloading was complete, I dd'ed the image onto my 8 Gb USB stick. So, USB stick is in the port. Reboot. Choose to boot from USB. Let's go! The paradox. The higher the speed of the CPU, memory, bus, etc., that hardware companies try to sell us, the more people tend to use low-resource operating systems and desktop environments. Of course, being light on system resources is not the only reason, but one of many reasons why more and more people switch from heavy DEs like KDE, GNOME3 and Unity to lightweight DEs like XFCE and LXDE. So far, I have done several reviews of desktop environments with LXDE, the most famous of them being Knoppix. I also reviewed PCLinuxOS and Porteus. I can’t say I was absolutely happy with any of these distributions. I also made an almost full round of reviews of different Fedora 16 distributions: KDE, GNOME and XFCE. The only missing one so far was LXDE. That’s why I will complete the round today, and tell you about my experience with Fedora 16 LXDE. I downloaded the ISO image from one of the official mirrors of Fedora Project. This time I missed the torrent link, and downloded the image from the Swedish mirror. I am not sure why Fedora Project automatically selected the Swedish one, because there should definitely be any UK-based mirrors. But anyway, downloaded was completed successfully. Image size of Fedora 16 LXDE is relatively small, compared to other spins of Fedora 16. It is only 563 Mb. I created Live USB with Unetbootin utility, which supports Fedora. The USB stick is in the port of my Fujitsu-Siemens Amilo Pi 1505. Reboot. Choose to boot from USB. Let’s go! Do you have any comments, suggestions or proposals? Leave your comments or write darkduck@darkduck.com. HDDZone.com provides hard drive PCB boards for data recovery purpose. ©DarkDuck. Logo by Martik Panosian. Powered by Blogger.